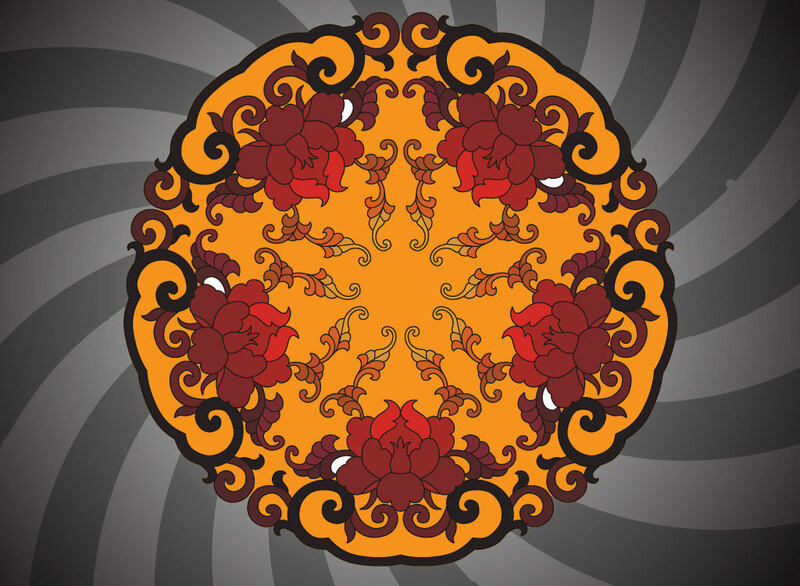 This circular ornamental design is made up of lotus flowers in a traditional style. A beautiful graphic element for your Asian and rustic designs. Download as AI and PDF for all your design needs. Tags: Background, Chinese, Decorative, Floral, Geometric, Ornamental.